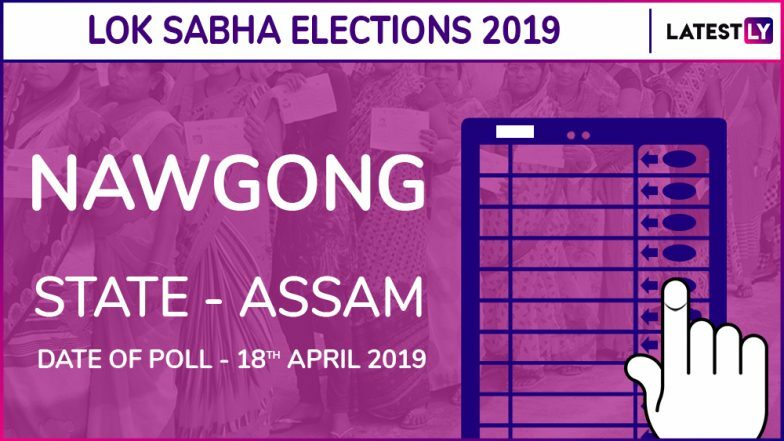 Lok Sabha Elections 2019: Nowgong parliamentary constituency, which is presently referred to as Nagaon, is one of 14 Lok Sabha constituencies that are representing the north-eastern state of Assam in the Parliament. This constituency has always been a stronghold of the Bharatiya Janata Party since 1999. Nine assembly segments make up the Lok Sabha seat of Nowgong, out of which the segments of Raha and Jagiroad are reserved for candidates belonging to the scheduled caste community. According to the Lok Sabha Elections 2019 scheduled as released by the Election Commission of India (ECI), voting in Nowgong will take place on phase 2 of the General Elections, and April 18 is decided as the date of poll. Silchar Lok Sabha Constituency in Assam. In Nowgong, the key candidates participating in Lok Sabha Elections, are Pradyut Bordoloi (INC), Sri Rupak Sharma (BJP) and Sahadeb Das (AITC). As per ECI's schedule, the last date for filling nominations for the second phase of General Elections was March 26, and March 27 was decided as the final submission of scrutiny of nominations. Again, March 29, was the last date for withdrawal of candidature for the Lok Sabha Elections 2019. Lok Sabha Elections 2019 Schedule. During the 2014 Lok Sabha Elections 2019, Rajen Gohain, member of BJP with 4,94,146 votes won the general elections in Nowgong. Indian National Congress (INC) member, Jonjonali Baruah was the runner up the same year who bagged 3,50,587 votes. The current sitting member of parliament of the Nowgong constituency is Shri Rajen Gohain. Lok Sabha Elections 2019 will take place from April 11 to May 23. The voting for General Elections this year will be held in seven phases between April 11 to May 19, 2019. The final counting and the Lok Sabha Elections’ result is scheduled to be declared on May 23, 2019.